In a matter of one week, Oppo will be launching its latest selfie-centric product- the Oppo F5. The company has already sent out media invites for an event on October 26 in the Philippines, and the Indian launch of the Oppo F5 is set for November 2. And now, a new report says that Oppo will launch the Oppo F5 in three different variants. Earlier, the company was rumoured to launch a single variant of the Oppo F5 but turns out to be there will be three variants of the smartphone. 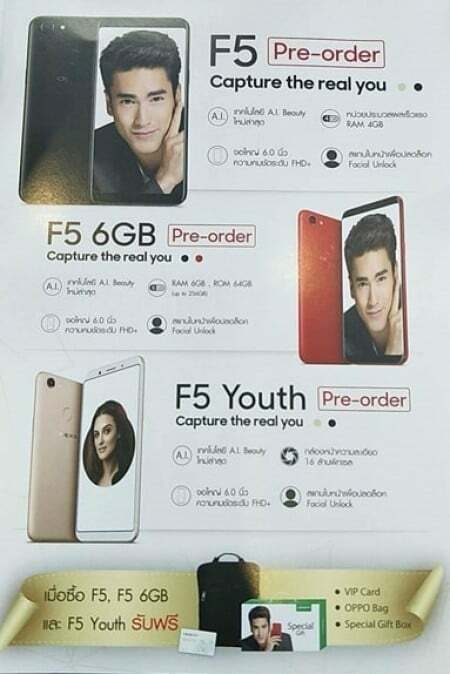 The standard variant with front-facing dual camera setup, 4GB of RAM, and a premium variant with 6GB of RAM, and lastly a single selfie camera Oppo F5 Youth Edition. The standard variant of the Oppo F5 will be available in two colour options- Black and Gold. And it will feature dual selfie cameras, 6-inch FHD+ display, 4GB of RAM, and a 4000mAh battery. 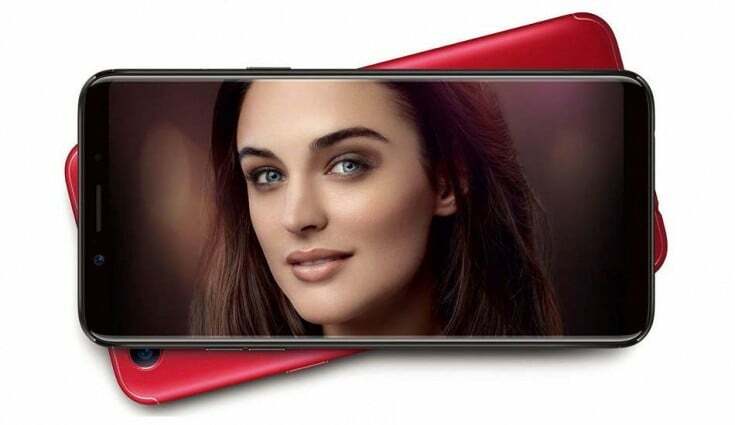 The Oppo F5 6GB variant will feature the same front-facing dual camera setup, but it will offer 6GB of RAM and 64GB of internal storage, instead of 4GB of RAM. Besides the extra RAM and storage, there won’t be any changes in the 6GB RAM option compared to the 4GB RAM model. The 6GB RAM model is expected to come in Red and Black colour options. And lastly, we have the Oppo F5 Youth edition targeted at the youth. This edition will feature a single selfie camera of 16MP, and downgraded RAM and storage as well. All in all, the Oppo F5 will arrive in three variants, but it’s still unknown which variant will Oppo launch in India. Currently, the processor to be used in the smartphone is unknown, but it is heavily expected to be the Snapdragon 660 SoC. If Oppo manages to integrate the Snapdragon 660 SoC and launch it in India, then the Oppo F5 will be the first Snapdragon 660 smartphone to launch in India. The device is expected to be priced at Rs. 30,000 in India.